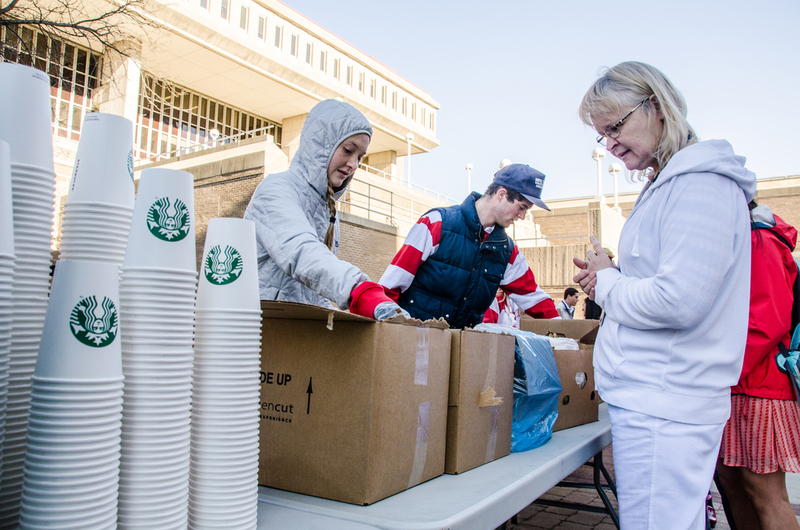 We all know Mondays can be tough, so WASB and Bucky have teamed up with Fresh Madison Market and Starbucks to help turn that frown upside down! 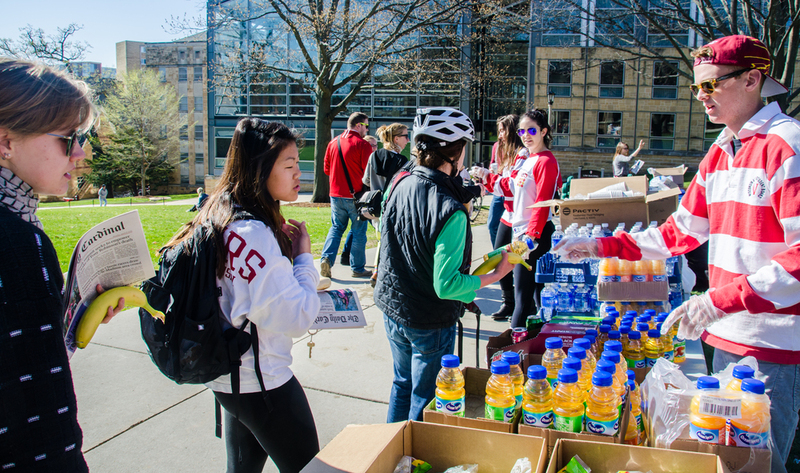 Join us for Breakfast with Bucky on Monday, April 24th where we will be serving bagels, coffee and fresh fruit for students and staff at East Campus Mall, Bascom Hill, Engineering Mall, and Van Hise. 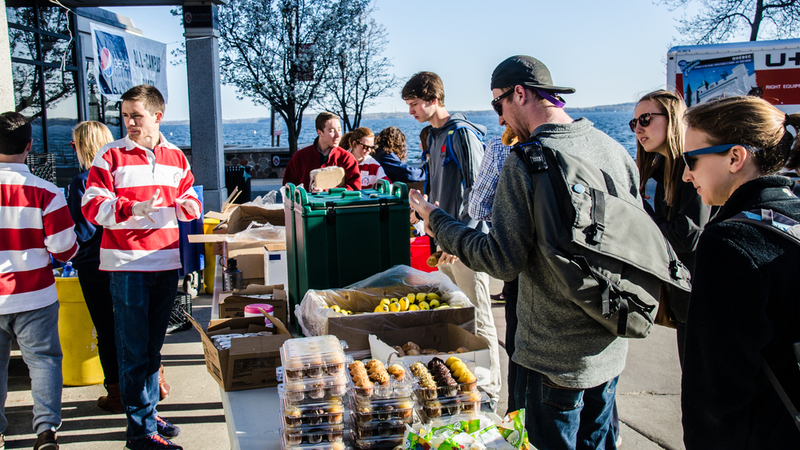 We hope you'll join us for the most important meal of the day during Bucky's favorite week of the year, All-Campus Party!